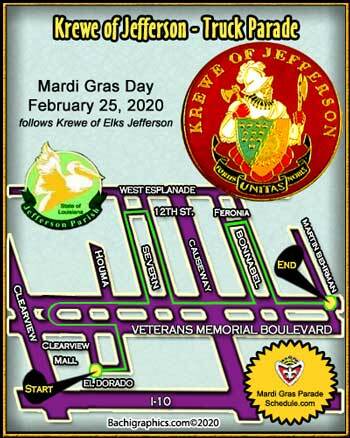 The Krewe of Jefferson Mardi Gras Truck Parade is the oldest truck parade in Metairie Louisiana. 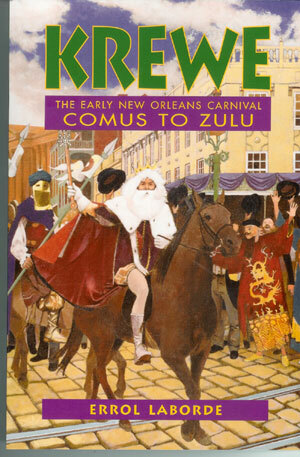 With over 3500 members and 75 truck floats that parade on Mardi Gras Day. A family friendly parade focused on providing fun for people of all ages. Mardi Gras Day with the Krewe of Jefferson.